Isentia’s chief executive, Asia, David Liu (pictured), is leaving the company after nearly four years. Liu’s departure was announced by CEO Ed Harrison during Isentia’s recent half year 2019 earnings call. During the call, Harrison thanked Liu for his “valuable contribution” to the company, adding that Liu will be assisting Isentia with the transition over the coming months and that a search for his replacement has commenced. In a statement to Marketing, Harrison said that Liu has played a “critical role” in the establishment of Isentia’s Asia business, including the appointment of key talent across the respective regions to ensure its clients are getting the best service. “He has built a strong foundation for future growth in Asia and with a renewed focus on the evolution of our products and services, we’re confident that our strategy will build on the great work already in place ensure we deliver on even more for our clients. We will of course miss David and everyone at Isentia wish him all the best for the future,” Harrison added. He also said that Isentia will provide an update to its leadership plans for Asia in due course. 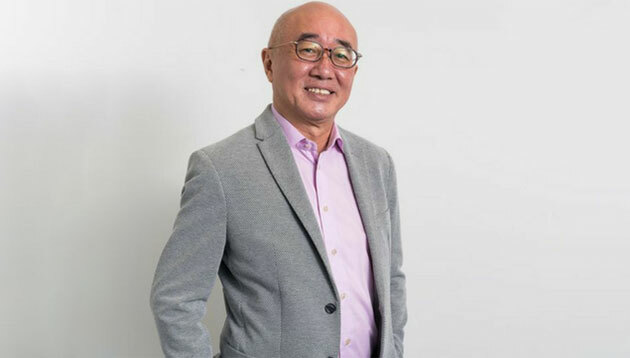 Liu was appointed to the role in 2015 and has over 28 years of experience in the media sector having worked at agencies including McCann-Erickson, Bozell and Saatchi & Saatchi. He was also the Asia Pacific CEO of Aegis Media Group. The Sydney-based media monitoring company witnessed a senior departure last February after John Croll stepped down from his role as managing director and CEO after 20 years. His resignation coincided with Isentia’s first half results of 2018, which showed an 11% dive on overall revenue to AUD$70.8 million. Meanwhile, it also wound down its content marketing business, formerly known as King Content, at the end of 2017 due to continued underperformance, following close monitoring and reviews by management of the content marketing business. The move came after it discontinued the King Content name in August 2017. The partnership aims to offer advertisers and media buyers in Malaysia deeper insight into the viewing habits of Malaysian pay-TV .. The pitch was held late last year. More here. .. Given the shortage of social and digital talent, the need to train and develop young staff to meet the new demand is greater than ..
Dave McCaughan has worked as a children’s librarian, a menswear salesman and butler to a mad Italian duke. He tells Jennifer Chan ..